Here’s what graduates are saying about their Street Food Institute training. 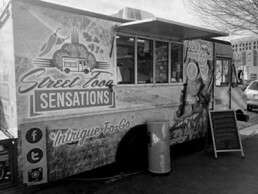 In 2016, Kattia Rojas registered for the food truck and the entrepreneur course at CNM, as part of the Culinary Arts Program. The opportunity to work as an intern provided her with the skills and confidence she needed to start her own business. 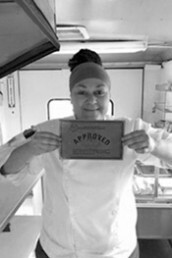 Thanks to SFI she established a work relationship with an industrial kitchen, markets and inspectors, as part of her plans to start her own catering business. They also provided valuable guidance towards this goal. “I will be forever grateful for their valuable help. They played a pivotal role during this process,” Kattia explained. Her participation in a number of markets during the weekends helped Kattia gain more valuable experience and, after two years, she is now ready to expand her venture: Buen Provecho is planning to open its first location in April, 2018.